If you are planning a house clearance in SW14, but you have no idea where to start from and feel overwhelmed just by thinking about it, you definitely need the assistance of a professional company to help you with the job. You worry that your budget will not be enough to hire professionals? Well, you should leave all your worries aside! 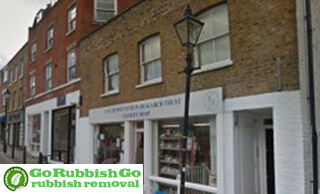 Go Rubbish Go is well-known and fully licensed house clearance Roehampton, SW15 service provider with a solid reputation for offering high quality results at the lowest prices you can possibly find. Having excellent customer service is our top priority, which is why our representatives are always ready to answer your questions. To get the assistance that you need and to receive a free quote, just call 020 8610 9182 now! The reasons why you may need the professional services of a house clearance company are many – from the need to have a large piece of furniture disposed of (your old couch, mattress or sofa, for example) to the need to have your entire Roehampton home decluttered. Nobody wants to spend a fortune on getting rid of stuff that they don’t need any longer. The good news is that you don’t have to break the bank to see your old fridge being taken away for disposal. We beat all competition as we guarantee that you will get the most affordable prices in the whole SW15 area. We will offer you a package tailored to your needs. Quality SW15 house clearance Roehampton doesn’t have to cost you a fortune! We make it affordable for you! 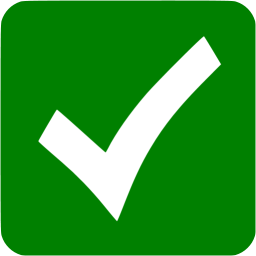 The most frequent question that we receive from our clients is: What type of items do you clear? We are happy to answer: just name it and we will take care of it! As professionals with many years of experience in the house clearance industry in Roehampton, we are prepared to handle projects of any scale and size: houses, flats, basements, attics, garages, large or small storage spaces and so on. The list of SW15 house clearance services that we offer is very long and includes the disposal and recycling of bulky furniture, electronics of different size and type, and all types of general waste. At our company we strongly believe in the capacity of people, who are motivated to do their job excellently, and who are able to work quickly and effectively. To achieve great results, we make sure that every person in our team is highly-trained, fully-vetted and well- equipped to successfully complete any Roehampton, SW15 house clearance project. Our employees have been working many years in the industry, which is why they know how to effectively approach every project and how to handle with even the most difficult tasks. Our team in SW14 are friendly and always happy to assist you and answer all of your questions. We can beat on quality and price. When it comes to quality house clearance SW15 services, we are the best! To receive a free consultation, simply dial 020 8610 9182. Get in touch with one of our customer care representatives to get a free quote. We are expecting your call! 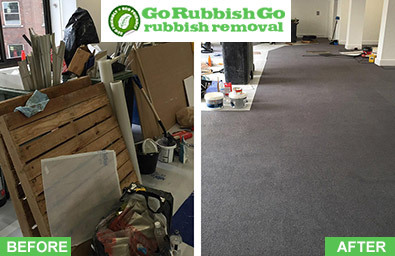 As an ethical company, we believe that every Roehampton house clearance job must be completed with the implementation of the most modern and eco-friendly practices that guarantee effective results. We will assist you with the disposal of all unwanted items irrespective of their type, size or material. We will arrange a time slot for your house clearance job SW15 to fit your schedule. 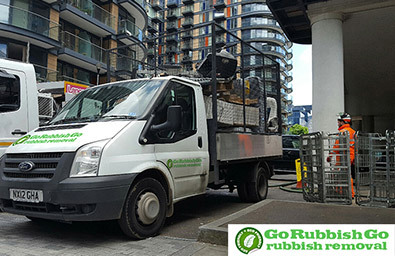 We do not offer a service that will collect your waste and transport it to the local landfill, but much more. We will not just clear your home from all unnecessary stuff; we will recycle most of your items reducing your carbon footprint in the process. We can assist you if you decide to donate to charity some of the items that are still in good condition. Call now to find out more about our green policy! Go Rubbish Go outruns the competition in every aspect of the business. 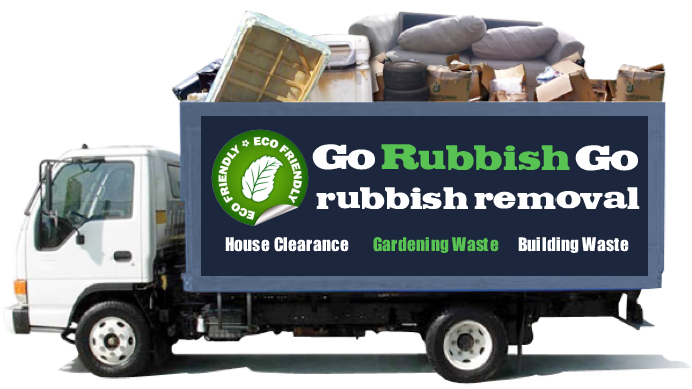 Providing impeccable house clearance Roehampton to all of our clients stands in the core values of our company. Our mission is to meet the requirements of our customers, which is why we complete every project with devotion and attention to detail. In our work policies we implement everything that makes us the best Roehampton house clearance SW15 company. We deliver high quality services at affordable prices. There is no need to waste your time and money on working with unprofessional companies that can’t do the job right. To hire the best, call 020 8610 9182 now! We guarantee that you will be satisfied with the results! Roehampton is part of the London Borough of Wandsworth and is located 6.3 miles southwest of the central Charing Cross area. Located in zone 2/3 of London’s transport districts, it is a well-connected area that is a popular place to live. Originally a small village on the outskirts of the city, it is now a large residential area. The closest tube stations are at East Putney and Southfields on the District Line, while there is also an over-ground train station to be found in nearby Barnes. Richmond Park, the largest Royal Park in London, can be found here, along with the International Tennis Federation and the Lawn Tennis Association. Other key attractions can also be found close-by, including the London Wetland Centre and Wimbledon Common.